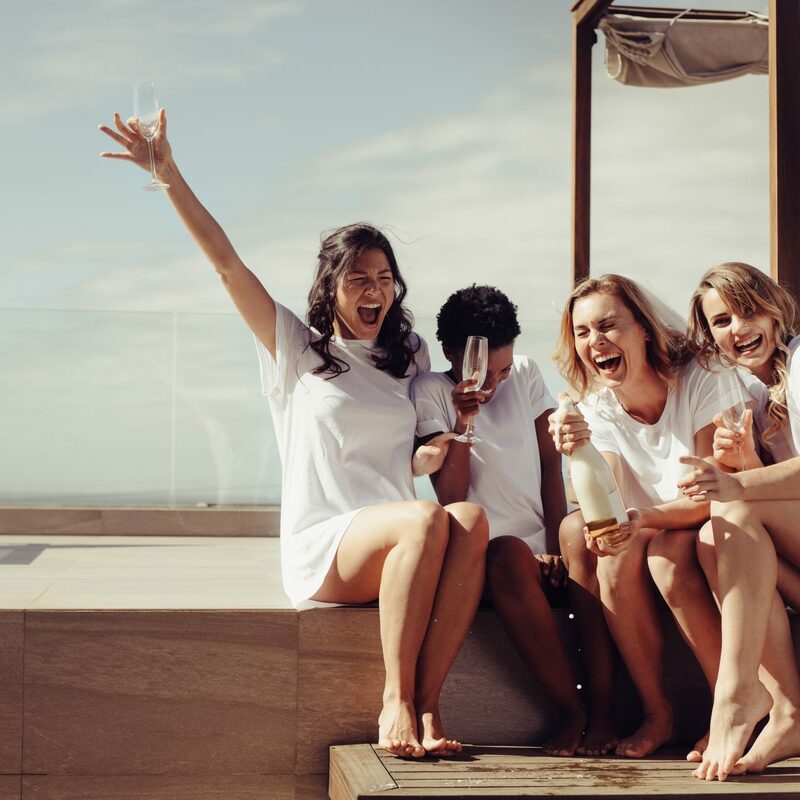 Invite your besties and pop the champagne! Your Bustle & Veil stylist will bring our exclusive bridesmaid dress collection for your BFFs to try on. Take the guesswork out of bridesmaid dress shopping! Our stylists will help your bridesmaids find the perfect look—for every shape & style! 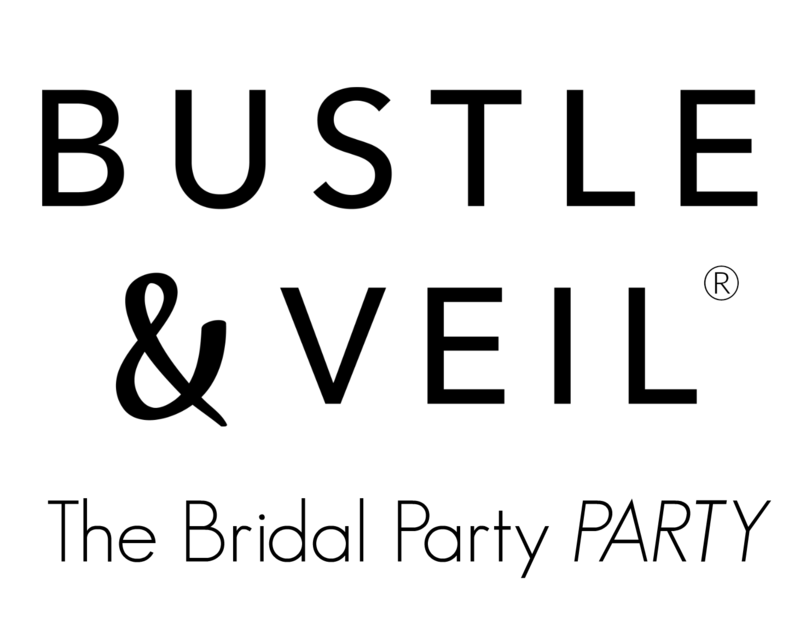 Brides who host Bustle & Veil parties receive discounts on accessories and local wedding vendors. Refer a friend and get even more! Browse these bridesmaid favorites and see which looks you love the most. 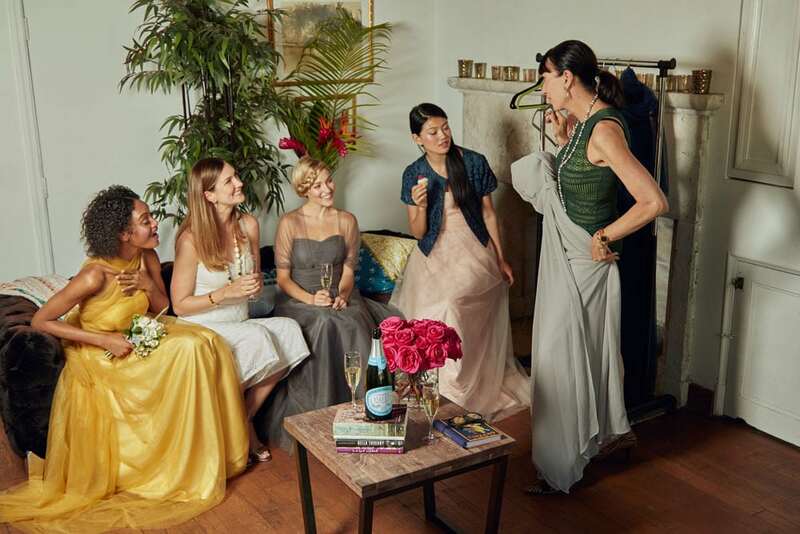 Bridesmaid dress shopping should be FUN, but more often than not it ends up being an impersonal experience that you and your friends just want to get through. We founded this company as a way to let you shop for chic bridesmaid looks that your friends will love (and wear again!) in a fun and familiar atmosphere. What’s better than a shopping party at home?! Ready to shop for your bridesmaid dresses in the comfort of your own home? 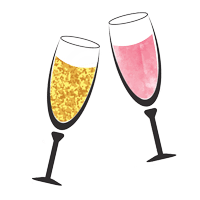 Connect with one of our stylists and schedule your party. Fulfill your dream of being a personal stylist on your own hours while earning commission on EVERY party you book.